This page lists our range of various forms of washers including Flat and Spring Washers in plated steel and stainless steel, Nylon Washers, Fibre Sealing washers and Penny/Repair washers. We now stock M2, M3, M4, M5and M6 flat washers in black finish. Used in pairs, these innovative washers enable positive locking of bolt heads and nuts against loosening due to vibration etc. Due to inconsistencies with the plating quality of M2 flat washers, we no longer offer this item. However, due to increased purchasing quantities, we have been able greatly reduced the price of the stainless steel version. * Dimensions are for guidance only and may vary slightly from batch to batch. 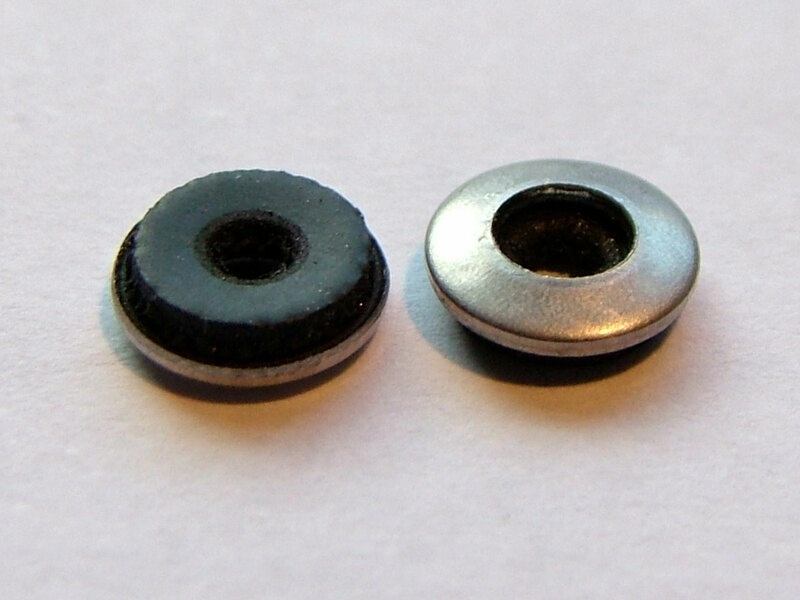 These washers suit our M3, M4, M5 and M6 Nylon cheese head screws. The screw heads sit flush with the top of the washer to provide a neat appearance. head load making them ideal for wing fixing applications in particular. Due to inconsistencies with the plating quality of M2 spring washers, we no longer offer this item. However, due to increased purchasing quantities, we have been able greatly reduced the price of the stainless steel version. These neoprene backed washers are ideal for use where it is important to have a soft contact between the screw head and the material being fixed. 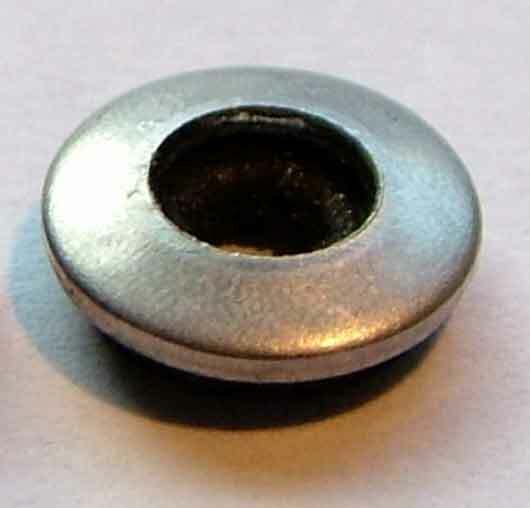 The rubber backing has a smaller hole than the washer and so each washer size is suitable for a range of screw threads (see below).